Not Just Another Mother Blogger! 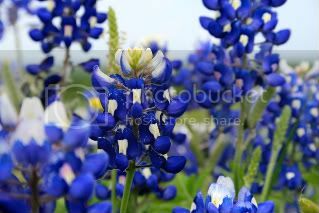 : Semi-Wordless Wednesday: Now with More Spring! Semi-Wordless Wednesday: Now with More Spring! 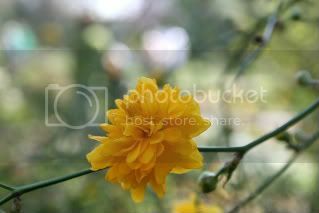 I have some more fabulously colorful pictures of flowers by my wonderful photographer friend, Laura Parker. My posting these awesome photos here is an experiment designed to encourage the coming of spring, and so far it appears to be working! 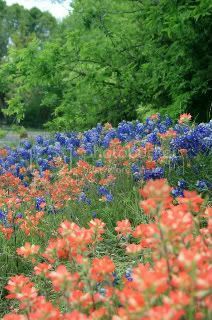 It's going to be in the 80s here by the end of the week, and there is a great chance I will start seeing real bluebonnets along the highway. w00t! I have NO idea what kind of flower this is, but it sure is pretty! I love this intense color! 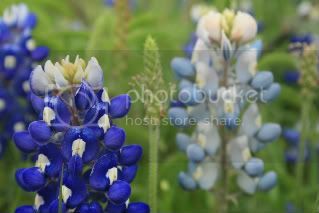 This is sort of like a bluebonnet and a whitebonnet! But not really. There aren't a lot of fields like this with wildflowers around here--because some idiot plowed them up and put in, not a parking lot, but a row of stores. Which is so very sad. Again, no clue what type of flower this is, but it is bright and sunny! 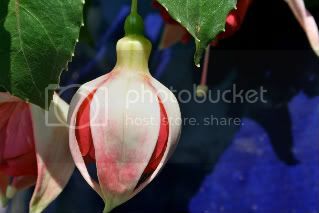 That first one looks like a Fuchsia; I have a bush outside my kitchen door. Oh I so cannot wait for spring here! I am your newest follower from Mom Blog Monday and would love for you to follow me back!